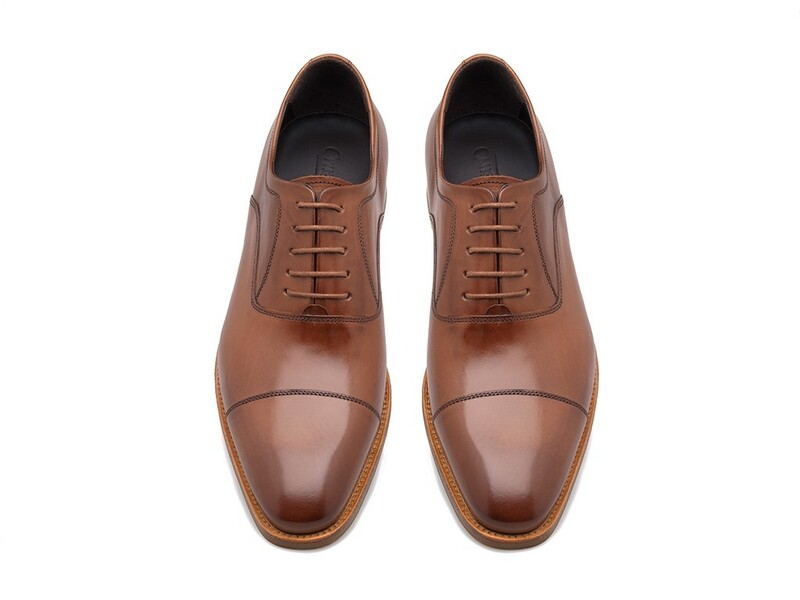 With a stitched toe-cap and five eyelet lacing, this elegant pair are a quintessential oxford lace-up. 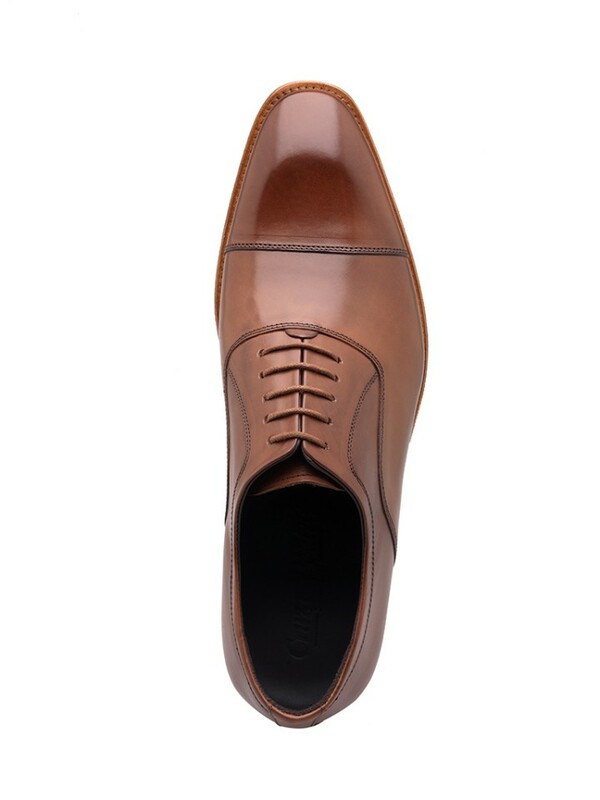 Hancrafted by our artsinal shoe makers, and expertly polished to produce the richest dark tan finish. WIth the addition of a comfortable, sturdy and well structured sole, this shoe is the perfect match for any gentleman looking for comfort and style.